If we're Facebook friends or you follow me on social media you probably know by now that I am at the tail end of a Whole9. 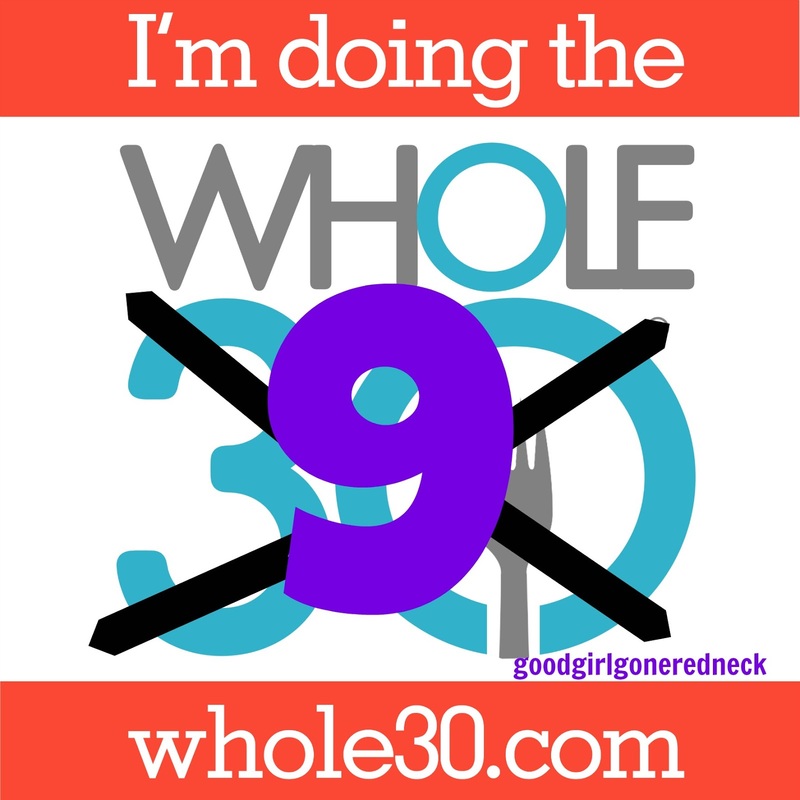 The Whole9 is a mini-Whole30. 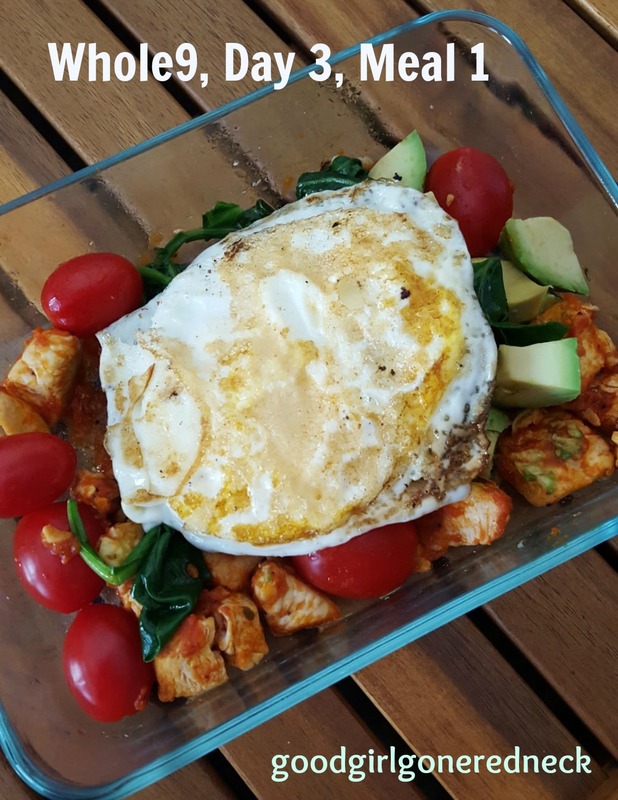 And the Whole30 is a way of eating that encourages you to eliminate several food groups and ingredients to help you determine which are the ones that are causing you inflammation and irritation - internally - and it's a really great way to reset your body. I've done two of them, my first round back in September of 2015. It was a pretty fantastic experience and I've become one of those people who sings praises of the program to anyone who asks. 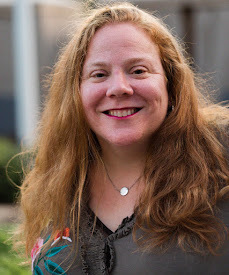 It was a fairly easy transition to life after Whole30, and I did a second round in January of this year. I started the new year off right. And then February came and I fell off that wagon. HARD. So - here I am - you find me on Day 9 of my Whole9, which is my little reset. I need to bring myself back to remembering that I don't really need cheese on my salad (which I broke on my visit to the Lowcountry, and people, it was so worth it!) and I can stick with my almond or coconut milk creamers in my coffee. I'm sharing some of my menu for this Whole9. Things were a bit different for me on this short round. I ate a little weirdly on these 8 (almost 9) days. It was spring break for my daughter so I wound up with more of a breakfast-lunch type meal and a smaller meal in the afternoon. Later wake-ups for her meant quieter mornings for me and not feeling hungry until somewhere between 10AM-12PM. This is NOT encouraged on Whole30. In fact, they suggest you eat within an hour of waking up. Which, sometimes, I do. But as with any program, you learn your body. You know you. And I know that eating a heavy breakfast before 10AM? Is not me. Not unless I'm up since about 6 and in dire need of fuel. Also - Whole30 encourages you to NOT track your intake. No calorie-counting. No notebooks filled with journal entries of all you've eaten. I tend to use myfitnesspal to keep track of my food so I can be more aware of how my stomach is reacting. 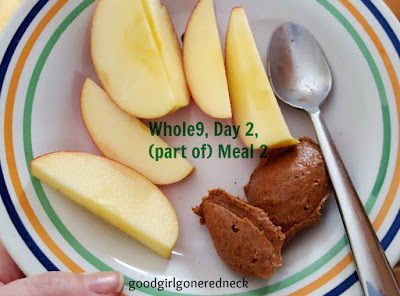 I also knew I wanted to do a post like this - and it helps me remember what I ate throughout the week. You'll see a lot of official rule-breaking, because bars and snacks are not technically allowed, but I know what my body needs. I trust it. You'll do the same as you move along throughout this program or any other. 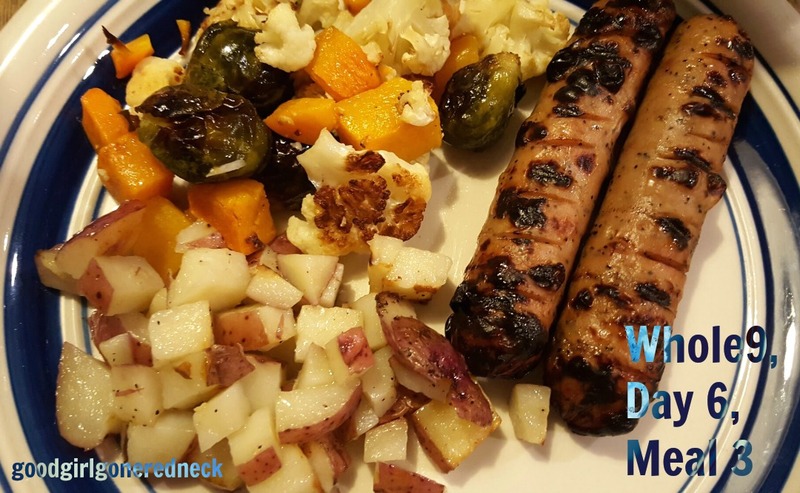 So, here's a little bit of what my meals looked like this week, and I've also included a list of items that you might want to add to your grocery list. These have been my healthy eating staples. eggs - I lived off of them. chicken sausage - for me this is an essential purchase. You can find many compliant brands at Earth Fare and Whole Foods but I've been lucky to find them at my regular supermarket, as well. Bilinski's sausage is a compliant brand with no sugar added, AND, the bonus for me, a non-pork non-beef eater, is that there's no pork casing or beef/collagen in them. Another brand that works is Al Fresco, but you have to be careful because some of their flavors have sugar, honey, and/or maple syrup in them. Obviously the maple apple flavor is delicious, but it's not Whole30 compliant. So take note! Applegate is another fantastic brand to look for - but some of their products also have some sugar/honey/syrup in them. Which, post-Whole30, is so minimal that you'll be fine - assuming you've accepted additional sugars into your intake. But during, if you want to adhere to the program 100%? You'll need to avoid. Navitas blueberry hemp superfood - I carried these in my bag as an emergency snack. They're kind of weird, but kind of good at the same time. Monte Bene garlic marinara sauce - there are a number of compliant marinara sauces out there if you don't want to or have the time to make your own. Monte Bene is one of them. Larabars - Larabars are compliant as long as they do not have peanut butter in them (possibly some other flavors might be non-compliant, as well). They're not encouraged but good to have if you're in an on-the-go situation or just not hungry enough to eat a solid meal. Lemon is one of my current favorites. 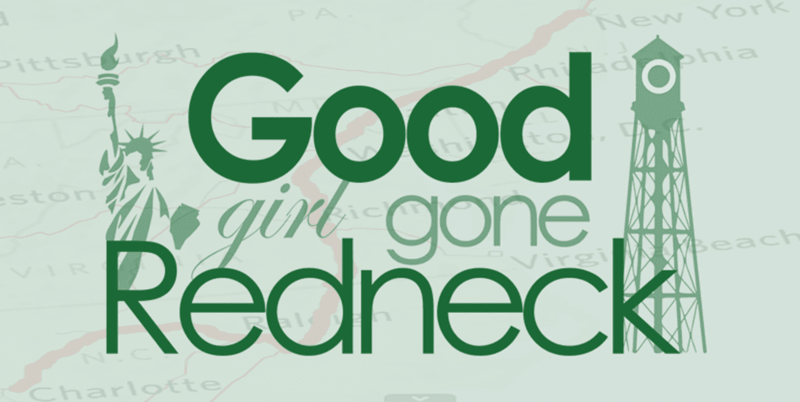 And there you have a little bit of what my week was like. I am on Day 9 today, and with full disclosure must confess that I ended up using regular almond milk in my coffee this morning. Honestly, it was a half-aware half-unaware sort of situation. And it doesn't do much to it. It's just not cutting it. But tomorrow! Tomorrow I'll use my SILK Almond Milk Creamer. Or my coconut milk creamer - because - yum. Because properly sweetened coffee is a taste of heaven on earth. Or something like that. What about you? Have you done a Whole30? Are you considering it? Hit me up if you need any info. 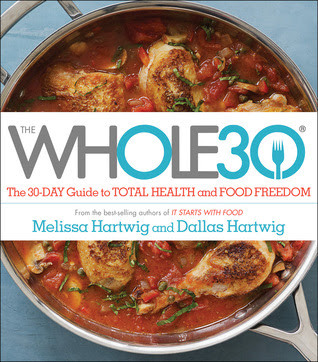 And be sure to check out The Whole30: The 30-Day Guide to Total Health and Food Freedom. It's been my bible each time I've done the program, and has some fantastic recipes in there. Need to get back under control. Girl Scout Cookie season is not being kind to me.